2012 SCAA Leadership Summit - Marco Beverage Systems Ltd.
Our CEO, Mr. Drewry Pearson, has been invited to attend the 2012 SCAA Leadership Summit so I’ve spent the morning picking his brain about the event. The leadership summit is designed to engage SCAA committee, council and guild members with the mission and work of the Association. The 2012-2014 SCAA strategic plan will be outlined and the objectives will be walked through with all of the delegates. The aim is to create a shared vision for the success of SCAA and the future of speciality coffee and to progress the existing work of the Committees, Guilds and Councils. Drewry’s role, in conjunction with the incoming WCE chairman Carl Sara, will be to attend the open board meeting of the SCAA and to give a presentation on the WCE which works between the SCAA and the SCAE and holds great potential for partnership work between the two. He will be touring next years SCAA exhibition centre (The Boston Convention and Event Centre) and will be working with the delegates from the Melbourne International Coffee Exhibition to draw on the experience of the SCAA (who run the biggest show of this type in the world) to find ways to potentially improve the mechanics of the show. 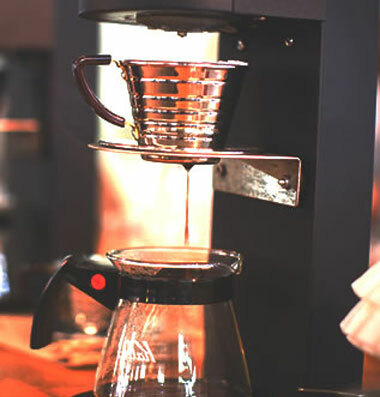 The leadership summit itself presents an opportunity to meet with like minded people, get ideas on how to improve WCE events by meeting with SCAA delegates and to discuss the future of Speciality Coffee. The SCAA always keep a high level of involvement from their members which makes the Association extremely homogeneous and active and they are a great example of an association running effectively over huge distances. Drewry will attempt to draw on some of these elements ahead of the WCE Strategy meeting in Iceland next year. But is it all work and no play? Not exactly… Counter Culture are hosting a welcome reception for the delegates when they arrive on Thursday night while on Friday it’s cocktails and baseball as the delegates take in Alibi along with Fenway Park to watch the Red Sox play the Blue Jays. Drewry himself is looking forward to meeting his son who lives in Boston and having a look around the coffee scene in Boston (David Walsh will be giving him tips ahead of his visit) along with trips to Boston’s art galleries and a chance to relax with friends after the hard work that will need to go in to making this trip and next year’s WCE summit a success.